E-waste is a growing problem that is affecting countries all around the world. As we have heard many times, technology is double-edged sword. On one side, technology has created advances for our society that improve our quality of life dramatically, while on the other hand technology can create massive problems if not recycled properly. 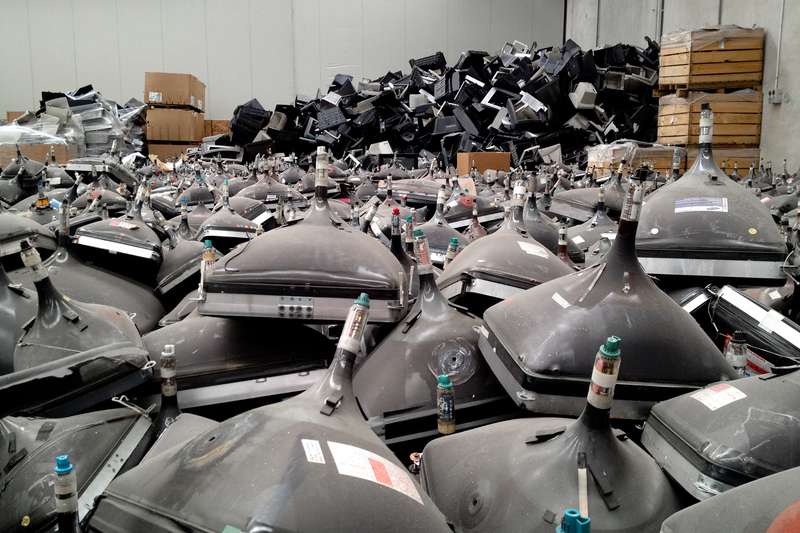 The problem with nto recycling unwanted technology (e-waste) is that this technology now becomes toxic waste. According to DoSomething.org, e-waste only accounts for about 2% of trash in American landfills but it equates to over 70% of the toxic waste in America. E-Waste, which is short for electronic waste, is defined as “any discarded electronic or electrical device or their parts.” E-Waste can range from a cell phone to a laptop to an old television. Since most people are unaware of the dangers that e-Waste poses, e-Waste is generally disposed of improperly and finds it way into landfills. Once the e-Waste finds its way to the landfill, it is rarely removed. Companies and individuals alike both extract metals from unwanted e-Waste, but if the process is not don’t correctly hazardous materials can be released into the environment. Below is an infographic that summarizes facts about e-Waste. There multiple reasons why e-Waste is bad for the environment. First, e-Waste contains harmful chemicals such as cathode rays, beryllium, barium, nickel, arsenic, lead and mercury. When these chemicals are broken down in landfills, they tend to leak these hazardous materials into both the air and soil creating an extremely unhealthy environment. To make matters worse, electronics take a much longer time to fully decompose in a landscape then compared to other materials, so the toxic materials are present for extended periods of time. These chemicals, when exposed to humans in large doses can increase the risk for serious aliments including cancer, damaged organs and more. E-Waste is not only a problem in America, but globally. Unwanted electronics from first world countries are often donated to third world countries in Africa and Asia. These electronics sometimes arrive broken and unusable, so people attempt to get every penny possible out of the broken electronics. Many turn to a process that involves burning the electronics to try and harvest metals, such as gold, cooper and silver, from the electronics. Since most of the people do not have any training on how to properly extract the metals, they end up burning toxic materials and releasing them into the air. These toxic fumes are harmful to humans and the environment alike. The infographic below displays the harmful effects of e-Waste in Africa, a region hit hard by the recent e-Waste epidemic. Recycling e-Waste properly can severely cut down on the environmental and health impacts of e-Waste. One of the easiest ways to dispose of e-Waste is to contact a company that specializes in the disposal of e-Waste. The majority of e-Waste disposal companies do not charge a fee to pick up your old electronics or you can drop them off at their location free of charge as well. There are also specialized dumpster services that can provide containers that are designed to hold e-Waste while you contact a recycling location. These dumpsters can be stored on your property as you collect your old electronics and then can be taken to an e-waste recycling location. In addition to contacting a recycling business, some manufactures also have a policy where they offer to take back their old electronics and ensure that they are recycled safely. States such as New York also offer programs and information to help residents safely recycle e-Waste. By simply recycling old electronics, you can help stop one of the fastest growing negative environmental trends.